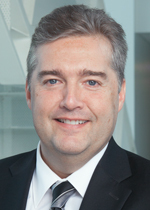 Serge Lafrance is the Director of Executive Education, HEC Montréal and Associate Professor. In addition to his academic career, he has fifteen years of experience as a marketing consultant and management executive in Canada and the United States. He has advised numerous companies on matters of growth strategy and business development. He previously served as the regional director for the Americas for the WIN-Gallup International Association. He is an expert in marketing and market development He is a sought-after speaker on these topics in Canada and abroad. He has several honours to his credit, including a prize for best paper by the Canadian Journal of Marketing Research.